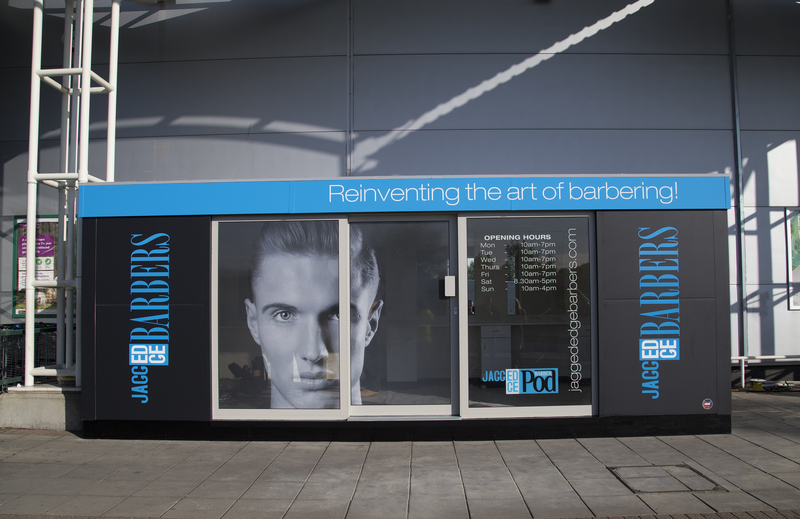 Premier Modular Limited was successful in securing a supply partnership with Zak and his team at Jagged Edge Barbers, providing bespoke single-storey modular pods. 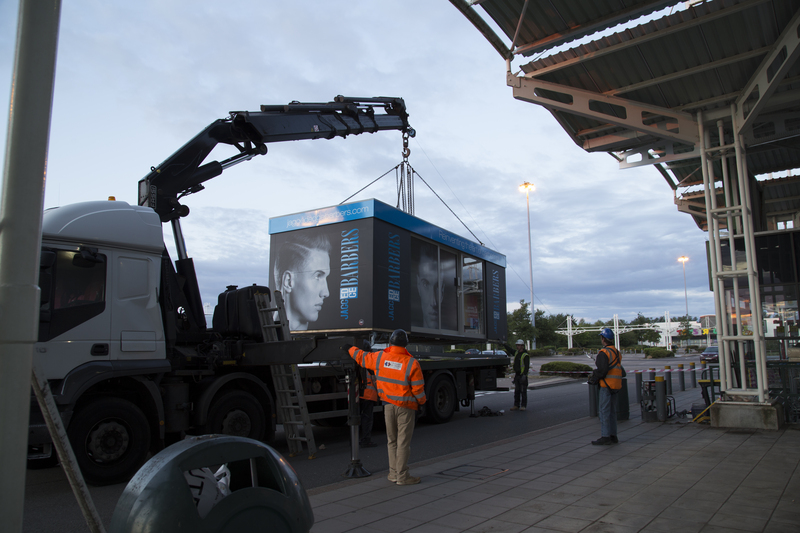 The pod was a collaboration of design between our in house technical team and the client utilising our PremFrame system. 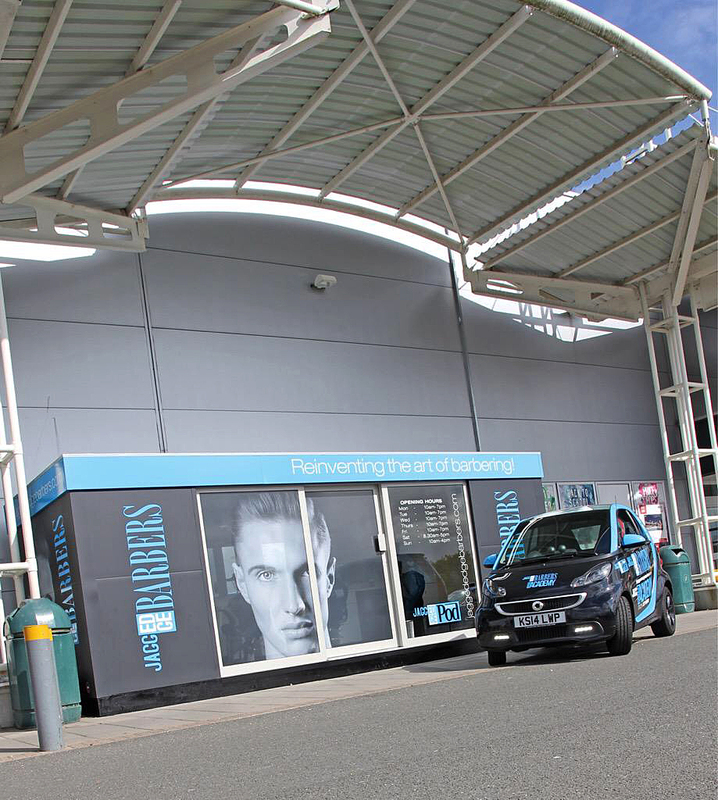 The units which are 6.6m x 2.6m in size are manufactured in the East Yorkshire factory within four days, including the installation and fitting of four styling areas with four internal single drawer base units. Fully glazed sliding doors and side screens are fitted in the centre of the pod and completed with vinyl transfers to continue the Jagged Edge corporate branding, whilst built in spot lights provided illumination to the unit. 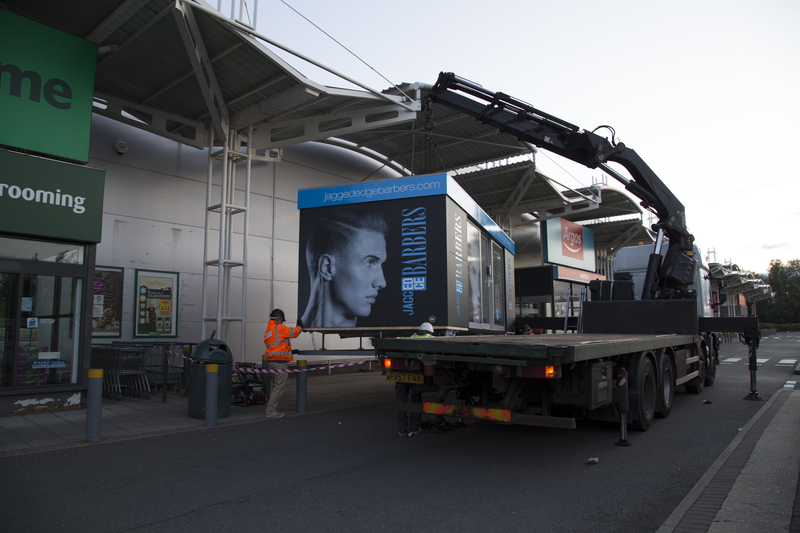 More Jagged Edge retail pods are expected to roll into retail parks and other venues throughout the UK over the next year as they continue to expand the Jagged Edge brand.